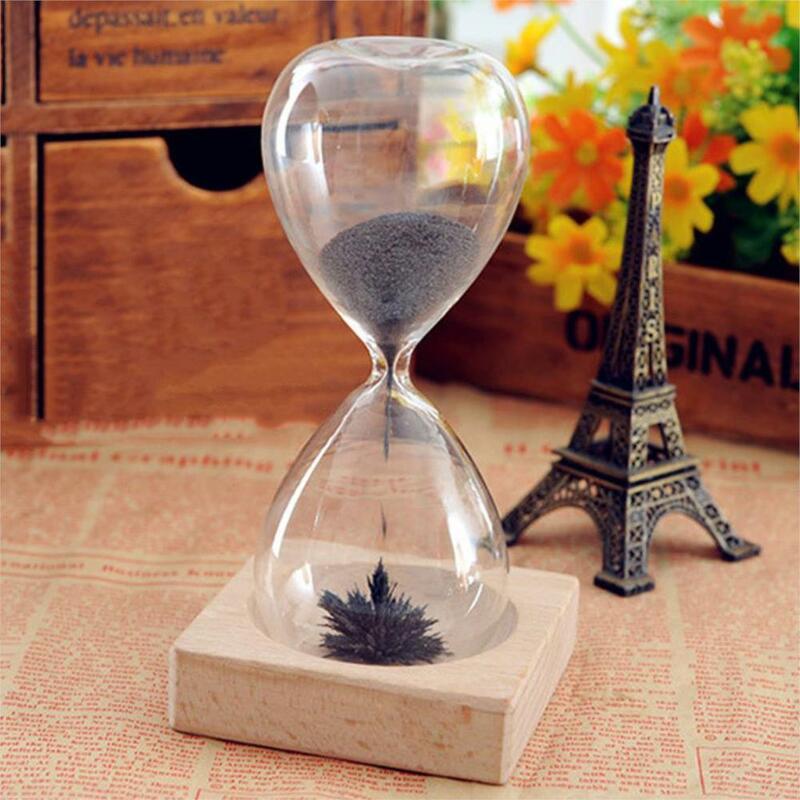 -The Magnetic Sand Hourglasses is a fun desktop diversion. Flip it over and watch the grains of iron stack up in seemingly impossible formations thanks to a magnet embedded in the iron base. -The craggy configurations of the iron filings eventually build into an ordered hemisphere with a spiky surface. You can enjoy watching the Magnetic Sand Hourglasses over and over again.